There are lots and lots of pictures in the Woodson of Rice students and faculty goofing around in a wide variety of ways. 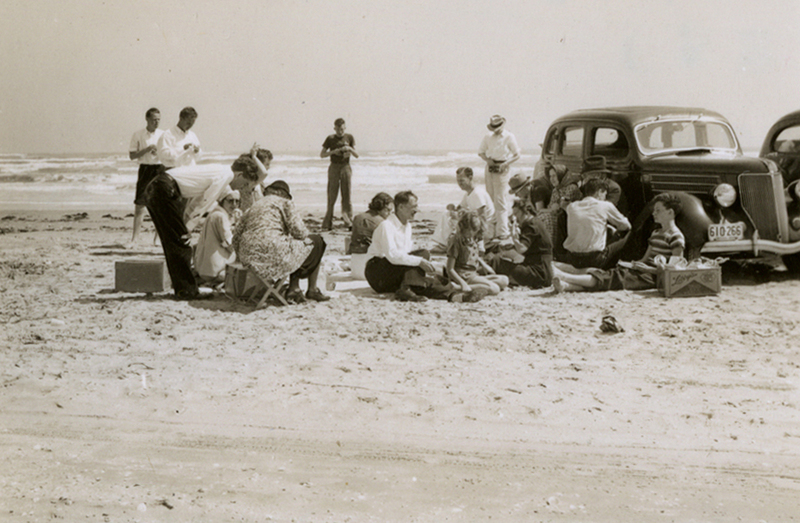 Inspired by the softball hijinks at the 1951 History Department picnic, I dug out these photos of the Math Department’s picnic on the beach in Galveston in March, 1939. That’s Hubert Bray, longtime professor of mathematics and in 1918 Rice’s first Ph.D. recipient, sitting up front in a white shirt and dark trousers. Here’s a link to the Thresher story about him on his retirement. 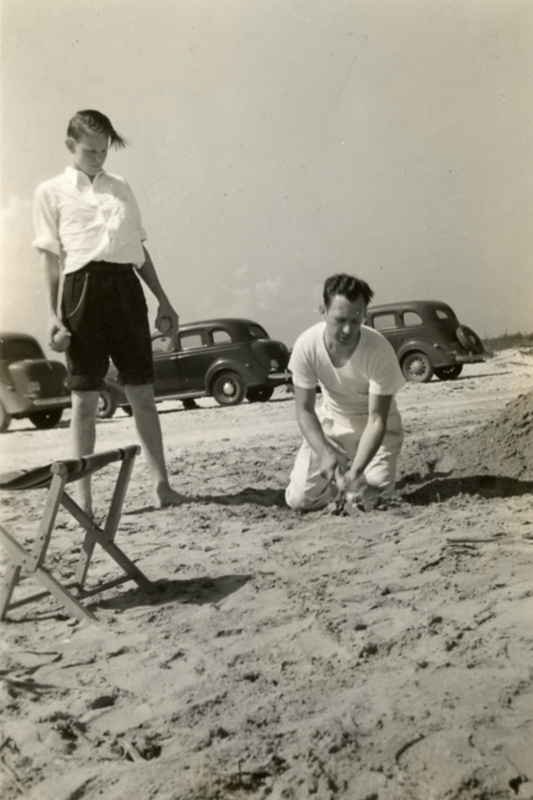 The guy digging in the sand is Ed Beckenbach, a Rice grad (class of ’28 and Ph.D. in 1931) who had returned as an instructor for a couple of years. Beckenbach spent most of his long career at UCLA. (Here is a really nice short biographical piece. )The lad standing behind him in rolled up pants is Neal Heaps (class of ’42), the son of Rice physics professor Claude Heaps. This is great! My great grand father was Claude william Heaps, and great uncle is Neal Heaps. My grandfather William Heaps and uncle (you guessed it) William (Bill) Heaps, were also geophysicsists. We all have stories about working for NASA and moon landing. Our family has never seen these photos. What a treat to see all of this! Thank you so much. I’ve probably got more! I’ll look.